The Vermilion Coast is the eastern part of the Pyrenees mountains range. The mountain hurls down into the Mediterranean Sea giving the coast a jagged edge. 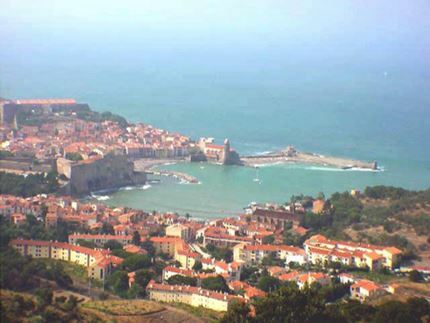 The sheer waters flow into inlets and small, charming ports, among which are Collioure, Port Vendres, Banyuls and Cerbère. The surrounding lands are rich in the wine-growing tradition, where the vineyards grow on small terraces enclosed by low sitting stone walls. The mountainous hinterland grows wild and almost inaccessible with Mediterranean vegetation smelling of thyme, lavender and rosemary. 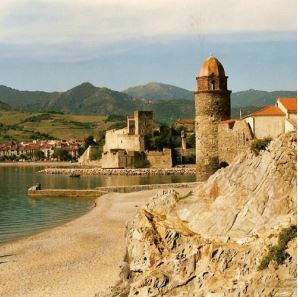 The Vermilion coast offers sun, sea, mountains, and the fragrances of the Midi. It is indeed heaven on earth! Day 7 - COLLIOURE The tour ends after breakfast. All round the year but be careful this area is very crowded in summer time Nevertheless this area attracts a lot of tourists and you have to reserve earlier to get the best rooms. - A daily itinerary together with information about facilities and places of interest along the trail. Grade 2 & 3 - walks of between 5 and 7 hours a day with ascents up to 700 metres. Some hiking experience is advisable. A reasonable level of fitness and some stamina are required for these walks. You may cover long distances in remote countryside and the terrain will be rough underfoot. In mountainous areas you will encounter some sustained ascents and descents. We offer you some alternative grade 2 routes in day 3, 4 and 5.